Maximum stacking height of 24"
The Delfield DIS-725 unheated drop in dispenser is the quick and simple way to make sure you always have enough dishes on hand for hungry customers! Capable of holding plates ranging in diameter from 6 1/2" to 7 1/4", this unit is ideal for use in restaurants, salad bars, buffets, and more. It's design can be mounted into a countertop so that plates are always ready at a convenient height for customers to grab. 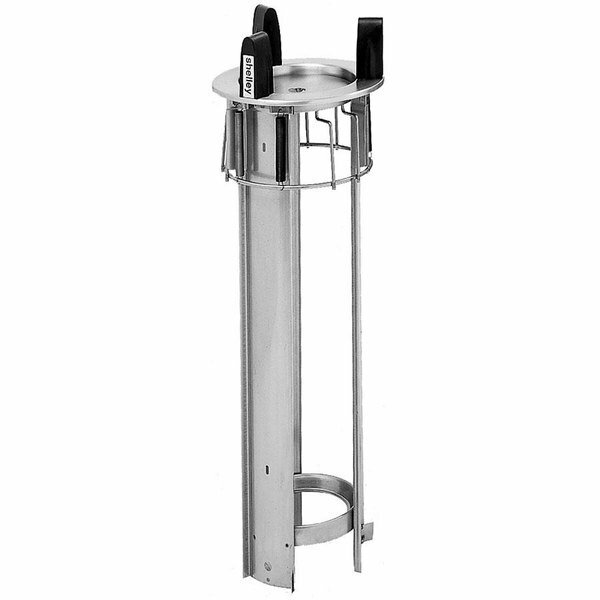 This unit can hold up to 72 dishes with a maximum stacking height of 24". It has three high-impact plastic guideposts, three vertical side channels, and a stainless steel bottom brace. All of these components work together to provide additional stability and keep your stacked dishware securely in place. Plus, the adjustable self-leveling mechanism keeps your plates level to prevent any from sliding and to make them say for pick up so that your customers can quickly grab a dish and go enjoy your delicious food.